"It wasn't surprising, from the lens of me being a behavioral pediatrician," said Dr. Nerissa Bauer, an assistant professor of pediatrics at the IU School of Medicine and the lead study author. "I routinely encounter mental health and behavioral problems in children, and this supports my initial hunch that I was seeing an increase in that." 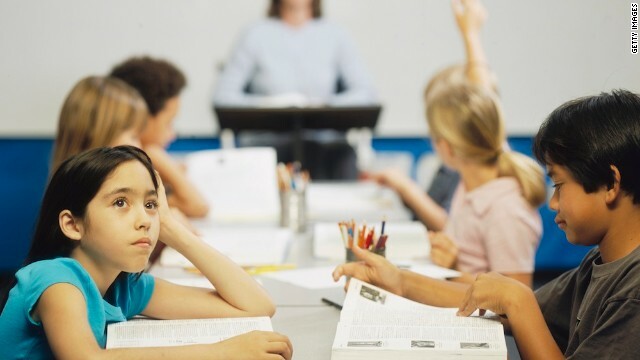 In addition to the apparent increased risk of ADHD, Bauer and her colleagues also saw an increase in prescriptions for drugs used to treat ADHD. "What it highlights is that as pediatricians, we have a responsibility and a duty to actively monitor children for behavioral mental health issues," Bauer said. But she says, time constraints can make that difficult. "Pediatricians know that it's important to screen. However, in a typical 20-minute visit, it's really hard to balance priorities." ADHD is often found alongside conditions such as depression and anxiety, said Atlanta pediatrician and CNN Health expert Dr. Jennifer Shu, who was not involved in the study, and "could just be a marker for other mental health problems... which may be linked to the intimate partner violence or maternal depression." Bauer hopes the research gives pediatricians a red flag to focus in on if there are concerns about the child's behavior. "If a parent comes in and tell us that a daycare teacher says, 'I'm concerned about how your child's functioning in the classroom,' that pediatrician needs to look for reasons for that." Likewise, if a pediatrician finds out that a child may be exposed to violence or depression at home, they should look for signs of ADHD, she says. "That pediatrician should consider screening for behavioral mental health issues such as ADHD, and continue monitoring that child over several visits." The bottom line, Bauer says, "We know that the earlier we can identify these children (with ADHD), the more we can optimize their outcomes." Inadequate sleep can be a big contributor to ADHD symptoms and behavioral problems, Shu notes, adding that domestic violence or parental depression may lead to children not getting appropriate care - sleep and nutrition, for instance - which could affect their focus and concentration. I would have to question how they reduced other factors that might also have been of impact. ADHD is not a problem or sickness that needs to be treated. Maybe what needs to be treated is how we approach our modern day teaching and schooling methods.